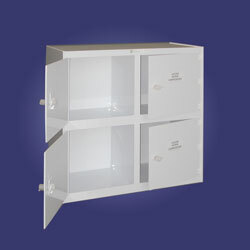 SCE manufactures a full line of shelving, tables, cabinets, carts and dispensers for cleanrooms and laboratories. Polypropylene and stainless steel are available for most models to give you many choices to outfit your facility. And remember, if you can't find what you are looking for, just call us for a custom solution.